Mounted to the sides of the helmet, the unique, streamlined design of Ops-Core ARCs allow for quick, easy, and secure donning and doffing of headborne accessories. Designed to emergency release accessories at 8ft-lbs (11 Newton meters) of torque to prevent neck injuries in the event of snagging, all Ops-Core FAST and Sentry helmets come standard with ARCs; replacement kits are available as needed. ARC upgrade kits are available for ACH style helmets to cost effectively add performance capability. Rail adapters are available to attach mission specific accessories, and shrouds provide a secure attachment at the front of the helmet for NVGs. Transform Ops-Core FAST Super High Cut Helmets into a streamlined platform capable of integrating mission enhancing components and accessories such as visors, mandibles, lights, and cameras. The ARCs easily mount to the sides of the helmet using existing chinstrap holes in the helmet, with numerous non-snag attachment points that provide quick, easy, and secure donning and doffing of accessories and clean routing of external wires and cables in a streamlined configuration to minimize user distraction. The ARCs are compatible with ballistic visors and mandibles to offer several options for fully integrated face protection. The visor mounts directly, and the mandible mounts through a point molded into the rail. The ARCs may be integrated with liners and retention systems. The corners of the rail are designed for compatibility with Ops-Core O2 Mask Straps, making the helmet suitable for HALO/HAHO operations. To help prevent neck injuries in the event of snagging, the Skeleton ARCs are designed to emergency release accessories at 8ft-lbs (11 Newton meters) of torque. Designed to replace existing ARCs on Ops-Core FAST MT Super High Cut Helmets with quick and easy replacement and the same durable, lightweight design as original ARCs. Multiple non-snag attachment points for quick, easy and secure donning and doffing of accessories and better routing of external wires and cables in a streamlined configuration to minimize user distraction. Compatibility with ballistic visors and mandibles for fully integrated face protection. Emergency releases accessories at 8ft-lbs (11 Newton meters) of torque to prevent neck injuries in the event of snagging. 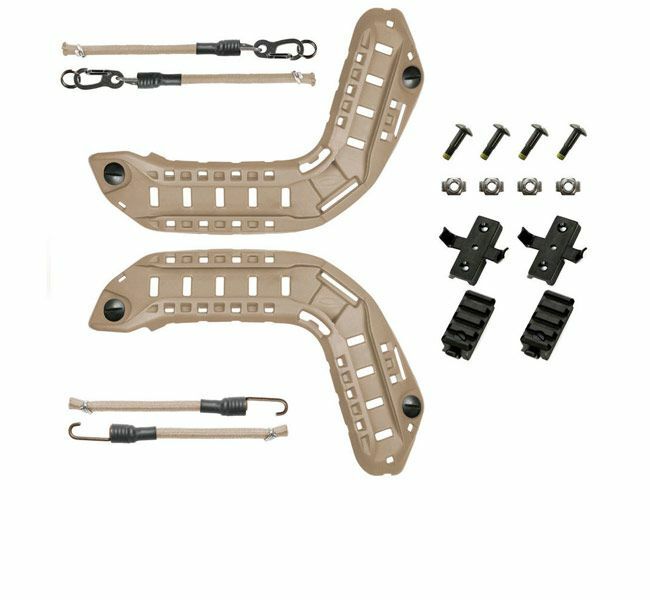 Replacement Kit includes: two Ops-Core FAST MT Super High Cut ARCs and mounting hardware (22mm ballistic screws); bungees are optional. Designed to replace existing ARCs on Ops-Core FAST XP High Cut Helmets with quick and easy replacement and the same durable, lightweight design as the original ARCs. 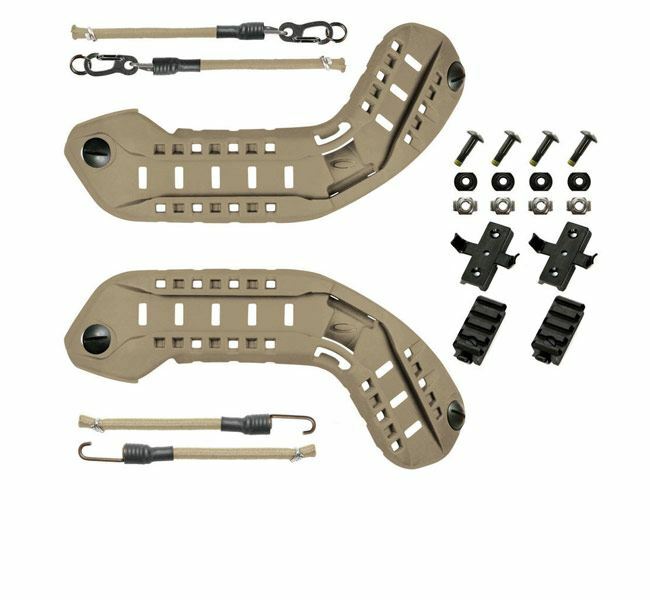 Replacement Kit includes: two FAST XP High Cut ARCs and mounting hardware (22mm ballistic screws); bungees are optional. Designed to replace existing ARCs on Ops-Core Sentry Helmets with quick and easy replacement and the same durable, lightweight design as the original ARCs. 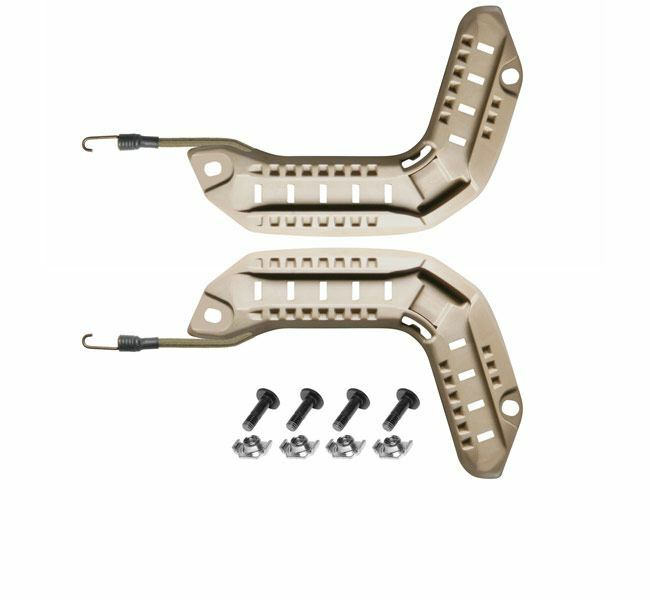 Streamlined mounting of accessories multiple non-snag attachment points for quick, easy and secure donning and doffing of accessories and better routing of external wires and cables in a streamlined configuration to minimize user distraction. 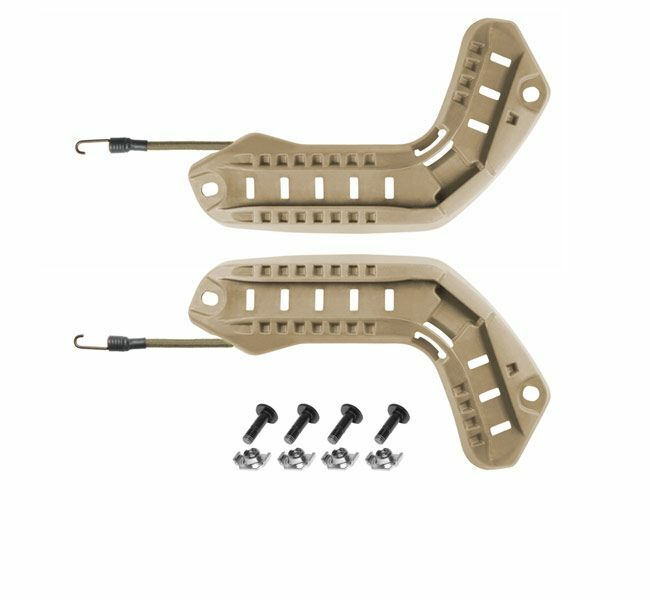 Replacement Kit includes: two Sentry ARCs and mounting hardware (22mm ballistic screws); bungees are optional. Designed to replace existing ARCs on Ops-Core FAST Carbon and Bump Helmets with quick and easy replacement and the same durable, lightweight design as the original ARCs. 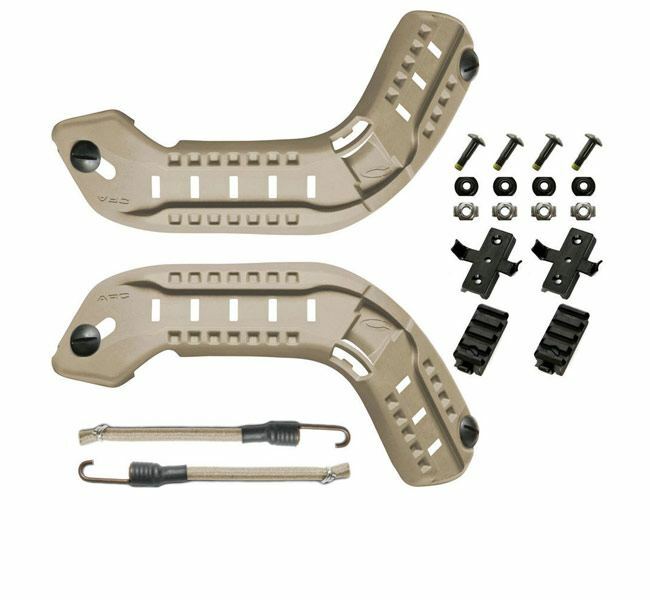 Replacement Kit includes: two FAST Carbon or Bump ARCs, and mounting hardware (22mm ballistic screws); bungees are optional. Transform ACH style helmets into a streamlined platform capable of integrating mission enhancing components and accessories such as visors, mandibles, lights, and cameras. These standard Ops-Core ACH ARCs easily mount to the sides of the helmet using existing chinstrap holes in the helmet. Multiple non-snag attachment points provide quick, easy, and secure donning and doffing of accessories and clean routing of external wires and cables in a streamlined configuration to minimize user distraction. A universal rail (one size fits all) for the ACH platform, Ops-Core ACH Skeleton ARCs transform ACH style helmets into a streamlined platform capable of integrating mission enhancing components and accessories such as visors, mandibles, lights and cameras. The ARCs easily mount to the sides of the helmet using existing chinstrap holes in the helmet and have numerous non-snag attachment points that provide quick, easy, and secure donning and doffing of accessories, and clean routing of external wires and cables in a streamlined configuration to minimize user distraction. Compatible with ballistic visors and mandibles to offer several options for fully integrated face protection, the visor mounts directly and the mandible mounts through a point molded into the rail. Ops-Core ACH Skeleton ARCs may be integrated with liners and retention systems.